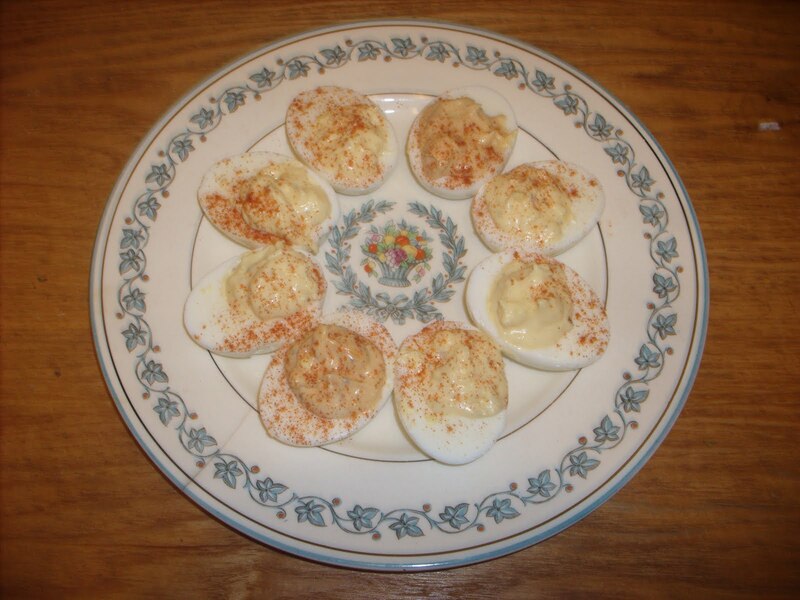 A complex dish consisting of a boiled egg covered in mustard. Preparation should only be attempted by the most skilled culinarians. Deviled Eggs Final Fantasy style. 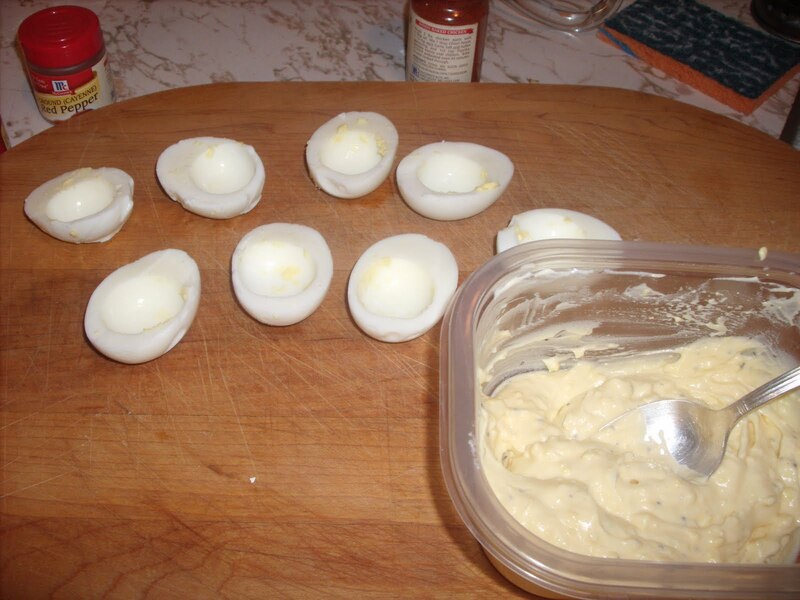 Completely cover the eggs with water and bring to a boil. Boil for 7-9 minutes. 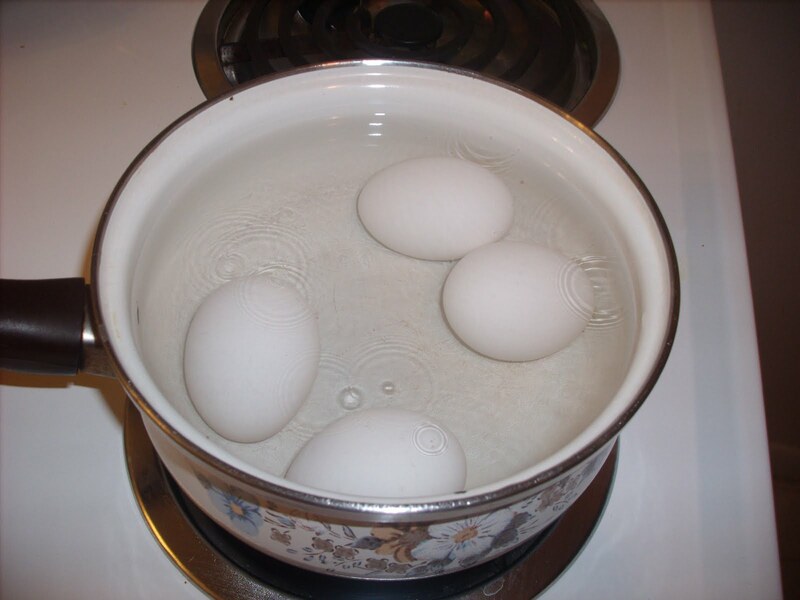 Then take the eggs and put under running water for 5 minutes. 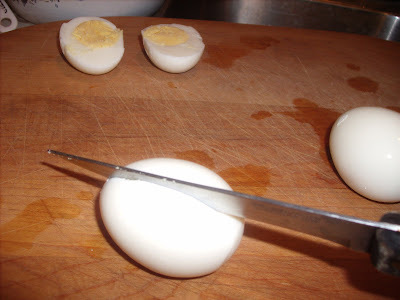 Take the shell off the eggs and cut in half. Pop out the yolk and put in a bowl. Mix the egg yolks with the mayo, mustard, pepper and vinegar. 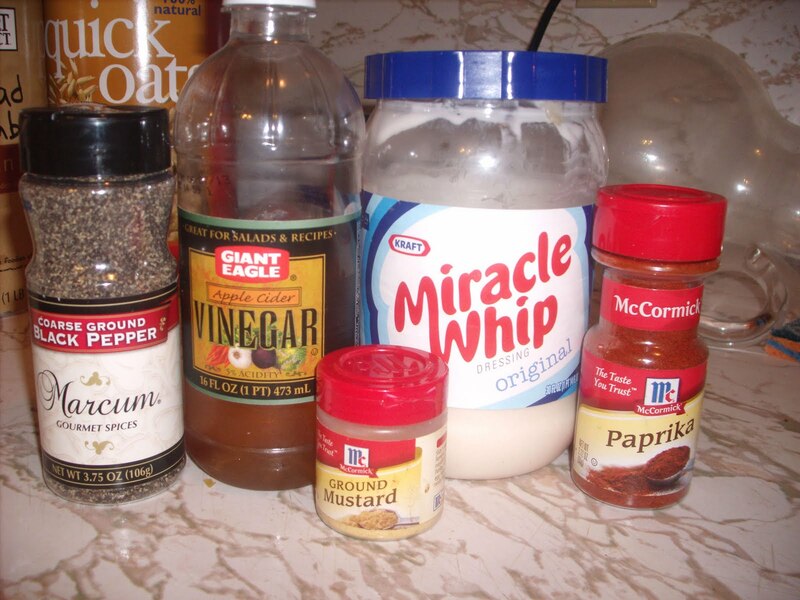 Spoon the mixture into the eggs. For a bit of spice. I added just a touch of chili sauce. Cover and refrigerate. They are better the next day. 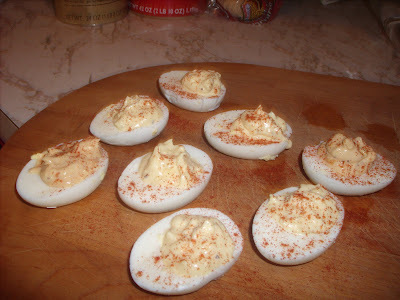 mmmm, I love filled eggs.....it's a terrible terrible shame no one else in my house likes them. Yes.....a terrible terrible shame. 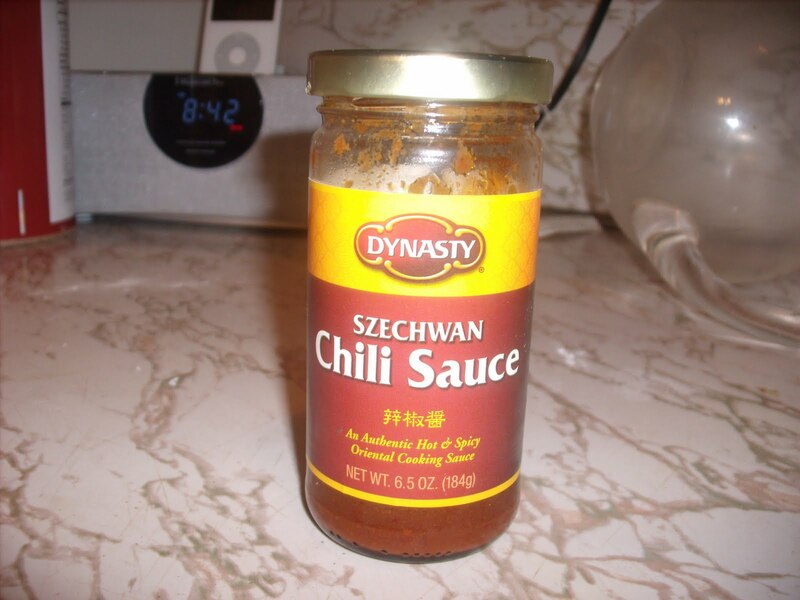 I recommend the chili sauce. I've never tried it before this but it will be apart of my deviled egg future for sure. It was yummy!